Kassandra Gris Photography in Magazines. Kassándra Gris Photography ha sido seleccionada en numerosas ocasiones por las Revistas Digitales de mayor prestigio a nivel mundial donde publican los mejores fotógrafos internacionales. Es un gran honor ser promocionada junto a los mejores fotógrafos infantiles mundiales por el elevado nivel artístico atesoran. My First Teddy Bear_Series 2 by Kassandra Gris Photography won the first place and has been featured in SEO and Marketing for Photographers Contest on 18th June 2014. Sweet Bombonieres Party by Kassandra Gris Photography has been featured in Child Photo Competition (Baby Boom Vol 23) on 1st October 2014. Sweet Bombonieres Party by Kassandra Gris Photography has been featured in Inspire Digital or Not Fine Art Photography (Inspire Pink – Breast Cancer Awareness video) on 4th October 2014. Sweet Bonbonieres Party by Kassandra Gris Photography has been featured in Prop Insanity for Photogs and Junkies Magazine on 5th February 2015. Vintage Dreams Adriana by Kassandra Gris Photography has been featured in Inspire Digital or Not Fine Art Photography on 21th October 2014. Prrrrrrt by Kassandra Gris Photography has been featured at Inspire Digital or Not Fine Art Photography Magazine on 7th November 2014. Prrrrrrt! by Kassandra Gris Photography has been featured by Child Photo Competition (Baby Boom Vol 26) on 14th November 2014. Vintage Christmas by Kassandra Gris Photography has been featured in Child Photo Competition (Inspiring Monday vol 53) on 24th November 2014. Vintage Christmas by Kassandra Gris Photography has been featured in Prop Insanity: For Photogs & Props magazine on 22nd November 2014. Pumpkin Dreams_Serie 3 by Kassandra Gris Photography has been featured in Prop Insanity:For Photogs & Props (Orange Theme Props) on 25th November 2014. Black Vintage Christmas by Kassandra Gris Photography has won and been featured in Prop Insanity:For Photogs & Prop Magazine, for its theme BLACK on 1st December 2014. And suddently time stopped in her eyes by Kassandra Gris Photography has been featured by Kaleidos Magazine (Kaleidos Dream) on 9 December 2014. And suddently time stopped in her eyes by Kassandra Gris Photography has been featured by Inspire Digital or Not Fine Art Photography Magazine on 9 December 2014. Kassandra & Creta Vintage Christmas by Kassandra Gris Photography has been featured by Inspire Digital or Not Fine Art Photography Magazine on 17 December 2014. Kassandra & Creta Vintage Christmas by Kassandra Gris Photography has been featured at Imaginarium Digital Magazine on 19 December 2014. She will rule the world by Kassandra Gris Photography has been featured in Kaleidos Dream Magazine Contest on 18 December 2014. Cu Cú by Kassandra Gris Photography has been selected and featured in Kaleidos Magazine Contest – Kaleidos Dream on 28 December 2014. Welcome Vintage Era by Kassandra Gris Photography has been selected and featued in Inspire Digital or Not Fine Art Magazine on 30th December 2014. Welcome Vintage Era by Kassandra Gris Photography has been selected and featured in Kaleidos Magazine – Kaleidos Dreams on 1st january 2015. Welcome Vintage Era by Kassandra Gris Photography has been selexted and featured in Shoot & Shot Fine Art Magazine on 5th January 2015. Welcome Vintage Era by Kassandra Gris Photography has been selected and featured in Child Photo Competition – Baby Boom Vol 32 on 9th January 2015. Welcome Vintage Era by Kassandra Gris Photography has been selected for Kaleidos Top Selctions Digital Magazine on 9th January 2015. A bird in my Vintage Hat Box by Kassandra Gris Photography has been featured and selected in Shot & Shoot Digital Magazine on 23th February 2015. – A Bird in my Vintage Hat Box by Kassandra Gris Photography has been featured and selected in Kaleidos Dream Digital Magazine on 24th February 2015. Nostalgia by Kassandra Gris Photography has been featured and selected in Kaleidos Dreams Digital Magazines on 2nd March 2015. Perfect Love by Kassandra Gris Photography has been featured as finalist in Child Photo Competition Contest ´All you need is Love´on 3rd March 2015. Snowwhite and Little Bird by Kassandra Gris Photography has been featured and selecetd by Prop Insanity for Photogs and Junkies Digital Magazine for the theme ”Fairies” on 16th March 2015. ”Inside my Vintage Hat box” by Kassandra Gris Photography has been featured and selected in Kaleidos Magazine – Art & Sensations and Flipboard on 15th April 2015. On Shot & Shoot Digital magazine (Best Photos) on 14th April 2015. ”Inside my Vintage Hat Box has been awarded with Association and Editor Selection of the Turkish Digital Magazine FotoDiyafram on 24th and 27th of April 2015. Sofia feat Cinderella True Sisters has been featured in Kaleidos Top Selections Flipboard on 12th May 2015. Sofia feat Cinderella True Sisters has been featured in Photo One Digital Magazine on 9th May 2015. Sofia feat Cinderella True Sisters has been awarded Editor Selection and featured in FotoDiyafram Digital Magazine on 10th May 2015. Beach Fairy by Kassandra Gris Photography has been featuren in Props Insanity for Photogs and junkies Digital Magazine on 16th May 2015. Belle Loves Castles has been awarded Association and Editor Choice in FotoDiyafram Digital Magazine on 24th May 2015. Baby Belle by Kassandra Gris Photography has been featured in Photo One Digital Magazine on 29th May 2015. Baby Belle has been featured in Shot & Shoot Digital Magazine’s Week Highlights on 30 May 2015. Maria Antoinette Mascarade Party has been featured Editor’s Choice by FotoDiyafram Digital Magazine on 31 May 2015. Maria Antoinette Mascarade Party has been featured Association’s Choice by FotoDiyafram Digital Magazine on 31 May 2015. Baby Anna feat Baby Elsa For the First Time iin Forever has been featured Editor’s Choice by FotoDiyafram Digital Magazine on 14 June 2015. Baby Anna feat Baby Elsa For the First Time in Forever has been featured Association’s Choice by FotoDiyafram Digital Magazine on 14 June 2015. Oliver, 20 Dias by Kassandra Gris has been featured in Shot & Shoot Magazine on 25 July 2015. Oliver, 20 Dias by Kassandra Gris has been featured in The Imaginarium on 25 July 2015. Oliver, 20 Dias by Kassandra Gris has been featured in Inspire Digital or Not Fine Art Photography Magazine on 24 July 2015. Oliver, 20 Dias by Kassandra Gris has been featured in PHOTO ONE on 25 July 2015. Oliver, 20 Dias by Kassandra Gris has been featured in Kaleidos Art Sensations on 26 July 2015. Oliver, 20 Dias by Kassandra Gris has been featured in Kaleidos TOP Flipboard on 31 July 2015. Oliver, 20 Dias by Kassandra Gris has been awarded Editor´s Choice by FotoDiyafram on 3 Aug 2015. She always dreamed of being Cinderella by Kassandra Gris has been featured in Shot & Shoot Magazine on 31 July 2015. She always dreamed of being Cinderella by Kassandra Gris has been featured in PHOTO ONE on 30 July 2015. She always dreamed of being Cinderella by Kassandra Gris has been awarded the Association´s Choice by FotoDiyafram Digital Magazine on 3 August 2015. She always dreamed of being Cinderella has been awarded Editor’s Choice by FotoDiyafram on 07 August 2015. Cinderella´s Mirror by Kassandra Gris has been featured in Shot & Shoot Best Photos on 11 Aug 2015. Cinderella´s Mirror by Kassandra Gris has been featured in Photo One Magazine on 10 Aug 2015. Cinderella´s Mirror by Kassandra Gris has been awarded with Association´s Choice on 11 Aug 2015. Baby Snow White by Kassandra Gris Photography has been featured in Shot & Shoot Digital Magazine on 3rd October 2015. 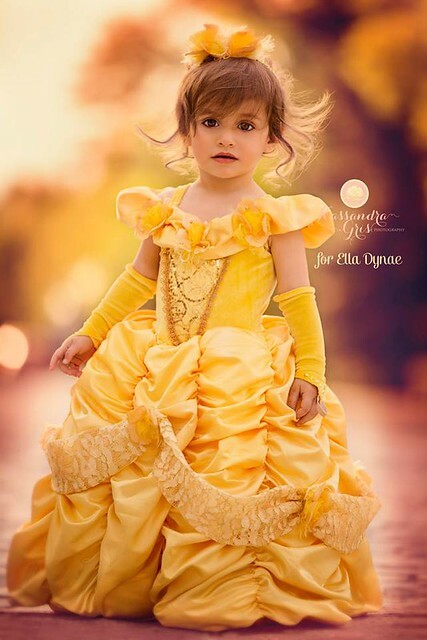 Baby Snow White by Kassandra Gris Photography has been featured in Photo One Digital Magazine on 3rd October 2015. Baby Snow White by Kassandra Gris Photography has been awarded Association Choice Award in FotoDiyafram Digital Magazine on 4th October 2015. Anna by Kassandra Gris Photography has been featured in Photo One Digital Magazine on 18 November 2015. Anna by Kassandra Gris Photography has been featured in Shot & Shoot Digital Magazine (Today´s Best Photo – Best Photos) on 18 November 2015. Belle by Kassandra Gris Photography has been nominales Association and Editor´s Choice in FotoDiyafram Digital Magazine on 18 November 2015. Cinderella´s Mirror by Kassandra Gris has been featured in Shot & Shoot Best Photos on 11 Aug 2015. Cinderella´s Mirror by Kassandra Gris has been featured in Photo One Magazine on 10 Aug 2015. Sofia feat Cinderella True Sisters has been featured in Kaleidos Top Selections Flipboard on 12th May 2015. Sofia feat Cinderella True Sisters has been featured in Photo One Digital Magazine on 9th May 2015. Sofia feat Cinderella True Sisters has been awarded Editor Selection and featured in FotoDiyafram Digital Magazine on 10th May 2015. ”Inside my Vintage Hat box” by Kassandra Gris Photography has been featured and selected in Kaleidos Magazine – Art & Sensations and Flipboard on 15th April 2015. On Shot & Shoot Digital magazine (Best Photos) on 14th April 2015. ”Inside my Vintage Hat Box has been awarded with Association and Editor Selection of the Turkish Digital Magazine FotoDiyafram on 24th and 27th of April 2015. A bird in my Vintage Hat Box by Kassandra Gris Photography has been featured and selected in Shot & Shoot Digital Magazine on 23th February 2015. – A Bird in my Vintage Hat Box by Kassandra Gris Photography has been featured and selected in Kaleidos Dream Digital Magazine on 24th February 2015. Baby Boom | VOL 23. Sisters like Us by Kassandra Gris Photography has been selected and featured in Kaleidos Dreams Digital Magazine on 26th January 2015. Welcome Vintage Era by Kassandra Gris Photography has been selected and featued in Inspire Digital or Not Fine Art Magazine on 30th December 2014. Welcome Vintage Era by Kassandra Gris Photography has been selected and featured in Kaleidos Magazine – Kaleidos Dreams on 1st january 2015. Welcome Vintage Era by Kassandra Gris Photography has been selexted and featured in Shoot & Shot Fine Art Magazine on 5th January 2015. Welcome Vintage Era by Kassandra Gris Photography has been selected and featured in Child Photo Competition – Baby Boom Vol 32 on 9th January 2015. Welcome Vintage Era by Kassandra Gris Photography has been selected for Kaleidos Top Selctions Digital Magazine on 9th January 2015. Kassandra & Creta Vintage Christmas by Kassandra Gris Photography has been featured by Inspire Digital or Not Fine Art Photography Magazine on 17 December 2014. Kassandra & Creta Vintage Christmas by Kassandra Gris Photography has been featured at Imaginarium Digital Magazine on 19 December 2014. Vintage Christmas by Kassandra Gris Photography has been featured in Child Photo Competition (Inspiring Monday vol 53) on 24th November 2014. Vintage Christmas by Kassandra Gris Photography has been featured in Prop Insanity: For Photogs & Props magazine on 22nd November 2014. Prrrrrrt by Kassandra Gris Photography has been featured at Inspire Digital or Not Fine Art Photography Magazine on 7th November 2014. Prrrrrrt! by Kassandra Gris Photography has been featured by Child Photo Competition (Baby Boom Vol 26) on 14th November 2014. Vintage Twins by Kassandra Gris Photography has been featured in Inspire Digital or Not Fine Art Photography.